Dust jacket front cover illustrations based on a photograph of Howard College campus in the archives of the Universityf KwaZulu-Natal and a photograph of Old Main Building, Pietermaritzburg campus, taken by Jack Frost in 1955. 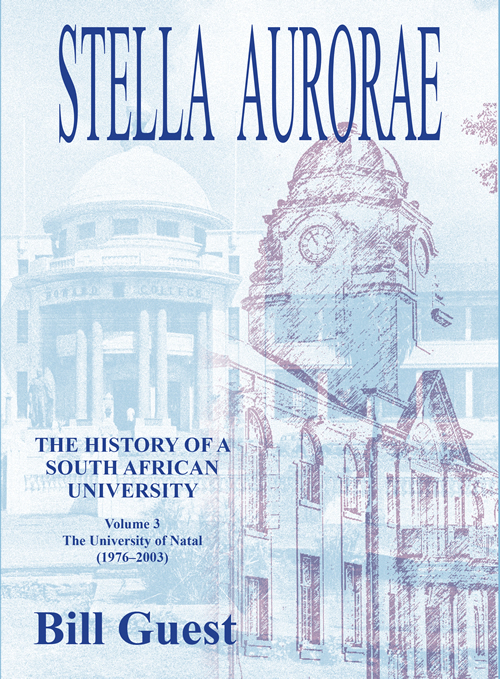 This is the last of a three-volume history by Bill Guest of a major South African university founded as the Natal University College in Pietermaritzburg in 1909. Despite trying conditions, including two world wars, the university expanded, developed a second campus (Howard College) in Durban and became the University of Natal in 1949. Thereafter until the mid-1970s the university continued to develop a dual-centred institution while struggling to maintain its autonomy. This included control of a third campus, a blacks-only medical school, in the face of interference from the apartheid government. The administrative centre of gravity shifted inexorably towards Durban as student enrolments and course options increased in the larger city, which also had many more potential donors. This final volume covers the tumultuous years from 1976 to 2003 during which many of the university’s staff and students became embroiled in resistance to apartheid and then engaged with the consequences once the country had achieved political freedom in 1994. Some contributed to the formulation of national government policies for the new South Africa and in the restructuring of the university as it became completely desegregated and coped with financial constraints. Meanwhile it had also become a four-campus institution with the incorporation of Edgewood College of Education; and eventually five following its 2004 merger with the University of Durban-Westville to form the University of KwaZulu-Natal. In addition to other sources, including staff and student reminiscences, the author draws extensively on the University’s archive of publications, reports, documents and minutes of meetings, recalling both the serious and the lighter side of campus life. 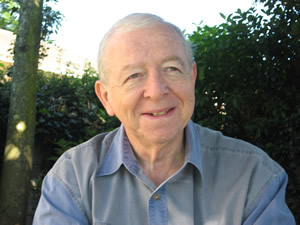 W.R. (Bill) Guest is a professor emeritus and senior research associate in Historical Studies on the Pietermaritzburg campus of the University of KwaZulu- Natal. A doctoral graduate of the Howard College (Durban) campus of the former University of Natal, he has published a variety of articles and has authored, co-authored, edited and co-edited more than a dozen books on South African history, focusing primarily on the socio-economic and institutional history of the Natal-Zululand region. In 2013 he won an Amafa AKwazulu-Natali Award in recognition of his contribution towards heritage conservation in the province.